with hundreds video templates, no video production skill needed! 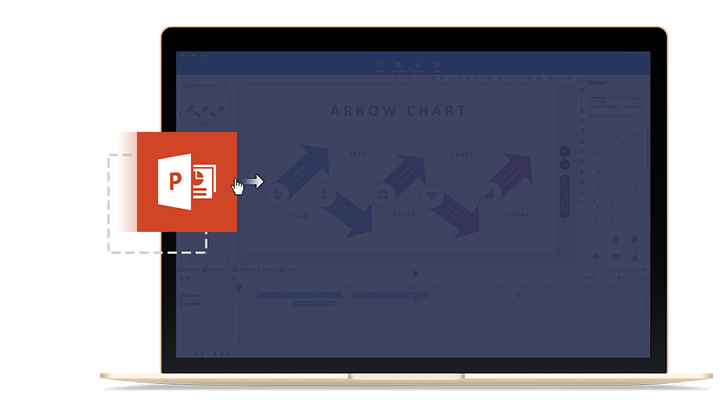 Simply import your PowerPoint file (*pptx) and turn your linear PowerPoint files into animated video presentations in a breeze. It will be a quick creation if you have business PPT file at local. For better PPT converting, it suggests you to import PowerPoint 2010 or newer version, after selecting slides, you then can create corporate videos in minutes. Then, advanced video editing features made easy through a simple interface. 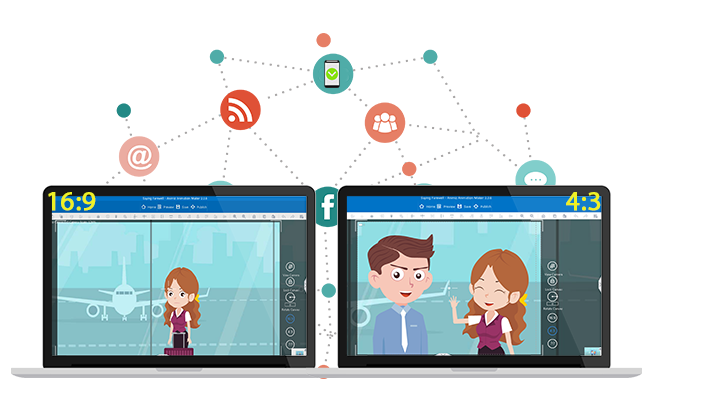 You don't need to be a pro to create video, Animiz free corporate video creator is offered for visually display everything with ease. Full creative control to make a multimedia corporate video. Animiz inspires you a complete customization with text, transitions, motion effects, dynamic scenes and much more to make your videos look cool. Video and audio editing on a timeline, image quality improvement with image editor, record your own voiceover via microphone, capture sound from musical instruments, all are doing good to move your business/marketing in meaningful ways. You will have high-level video performances with engaging presenting style, which can bring awesome marketing effects. Data is boring, but storytelling is not. Animiz provides 10 different types of chart to make ideas and date easier to understand. Bar, Dot, Pie, Line, Area, Stacking, Radar, Mixed Nightingale Rose charts and table will make you a data storyteller. These charts break down a big complex of information delivery, but give more appealing visuals to showcase tendency, variety, transformation and more other details. Animate your charts in corporate videos will be original to amaze audiences. Animiz is such a gorgeous corporate video creator that not only creates videos with standard 16:9 or 4:3 aspect ratio. 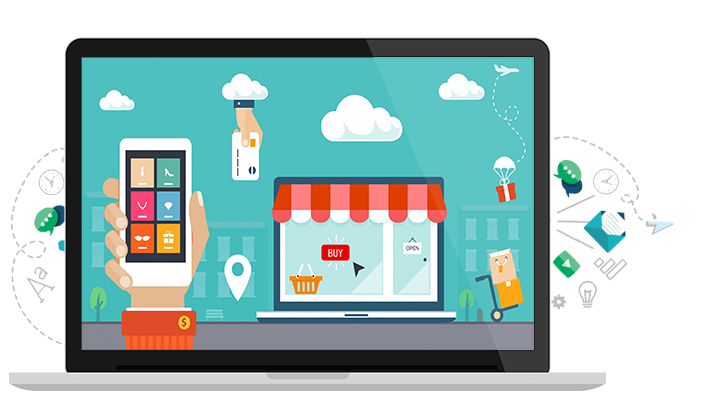 Amazingly, when you have finished a visually compelling corporate video, you can customize its aspect ratio to expand audiences with different devices. Input the size like "765 X 432", then Apply, you can set your video that based on your needs. Therefore, one-click of Publish button you can get results with live video streaming. In this case, you can easily hook audiences around the world. Import PowerPoint file (*pptx) and turn it into animated video presentations in a breeze. 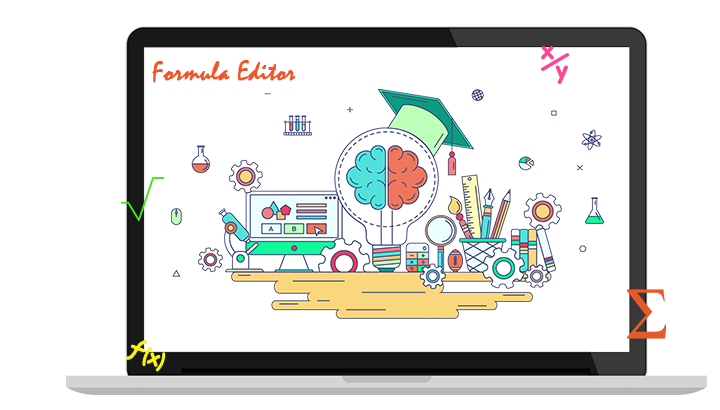 Complete customization with text, images, videos, transitions, motion effects and dynamic scenes. 10 different types of charts available for making ideas and date easier to understand. 300+ lively animation effects (entrance, emphasis and exit effects) to animate contents in timeline. Customize corporate video's aspect ratio, then publish it online or offline to share with the world.